Tammie Flinos met her husband at the young age of eighteen. On their second date they decided they were going to adopt a child. After two biological children, they moved to Dubai where they began the adoption process. Here Tammie met Jodie Hampshire and Selina Smyth, two other women who were going through the adoption process at the same time. The three became close friends as they went through the emotional highs and lows together — from the death of a child to the welcoming of children, they went through the trials and tribulations that come with adoptive parenting. Between the three women, they now have twelve children — six adopted and six biological, and after a decade of being adoptive parents, the three decided to write a book to offer support and answers to other parents going through the adoption process. 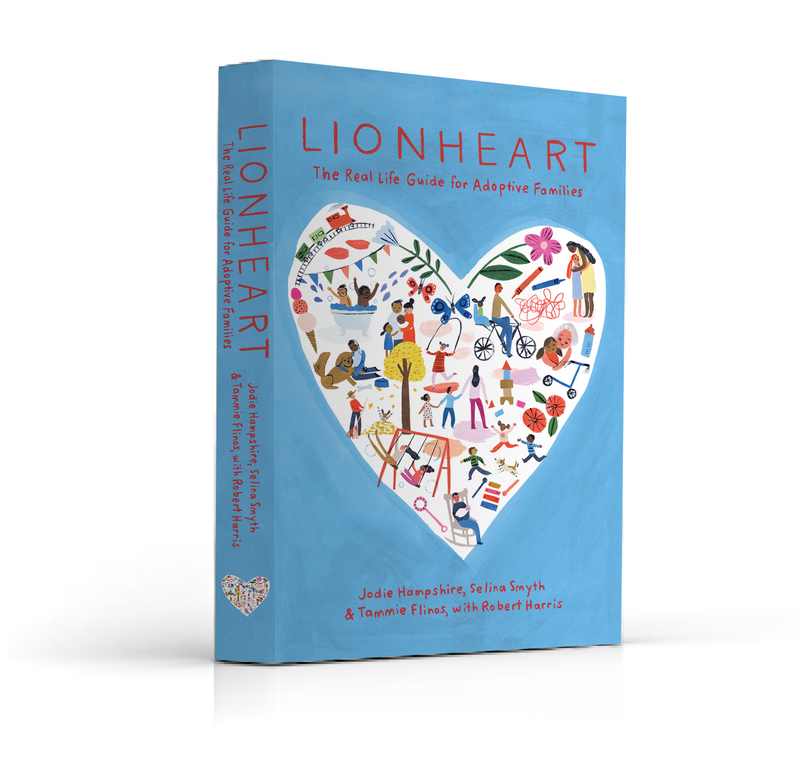 They wrote down their individual experiences and personal stories, and share their learnings in a new book called Lionheart — the real life guide to adoptive parenting. Lionheart is helpful to any parent of adopted or fostered children, or anyone parenting a child who has experienced trauma of any kind. And 100% of the proceeds from the book sales go to Big Love Family Projects, a charity they set up to support projects in Liberia, Sierra Leone and Cambodia – their children’s birth countries. 1. Accept your child for who they are. This is a very hard one for all parents, but fully accepting the child that we have, their likes and dislikes, their style, their talents or lack thereof, allows our children to feel free. It allows them to feel proud of who they are and gives us as parents, a sense of freedom — freedom from expectations and disappointment. That is unconditional love and everyone will benefit from it. 2. Be aware of, and knowledgable about trauma. Your child, no matter how old they were when you adopted them, will have experienced trauma. Being separated from your biological mother at any age and under any circumstances, brings with it a whole host of trauma related issues. The older the child was when adopted, the more trauma they will have experienced in their life before you. Finding out as much as you can about trauma, how it effects brain development, behavior and emotional maturity will help both you and your child immensely. 3. Children that have spent any time in an institution (orphanage, children’s home etc) will more than likely have some sensory issues. Consulting an occupational therapist and do some research. Simple activities can be life changing and will allow your child to experience the pleasure of sensory input without the stress. 4. Allow your child to express their emotions fully. This is a huge one. Adopted children have a whole host of difficult emotions to deal with, and as small children, they have no understanding of these emotions. Sitting with them calmly, while explaining that they are safe to express themselves is an incredible tool for you as a parent. Telling the child that it is ok to feel scared, angry, confused, frustrated, hurt, whatever it may be, will allow them to move through these emotions in a healthy way and hopefully help them release these feelings. It helps them to understand that these feelings aren’t “negative” emotions, they are just emotions. Everyone has them and it is ok to feel it, experience it, then let go of it. This process may take years in adopted children, but as long as they understand that it is healthy to feel things and that it is all part of being human and processing things, then hopefully they can grow into emotionally mature adults who have learned to recognize and deal with feelings when they arise. 5. Self care. We cannot stress this enough! Any parent needs to take care of themselves, but it is never as important as when you are dealing with a child that has issues of their own. Often we get so caught up in trying to be there for our children and help them get through their own things, that we forget about ourselves. Place the oxygen mask on yourself first, then help others. This is the most sensible thing to do. You have to take good care of your own physical, mental and emotional health, so that you can be the best parent possible to your child. This is not a luxury. It is an absolute necessity. This advise looks perfect. 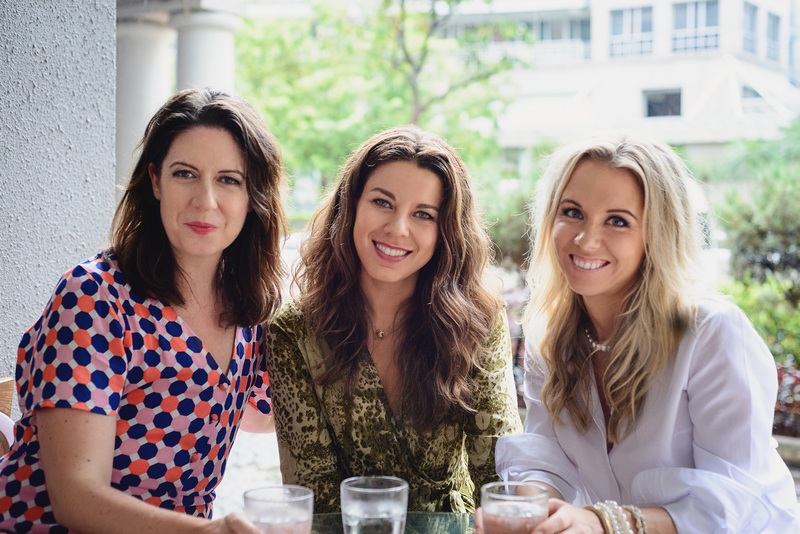 Its great that the 3 ladies have used their own experiences to help others in the same situation and were able to support each other through everything. I was adopted at birth and although my parents did an amazing job and I am so greatful for the life they have given me I still feel emotional about being adopted. I always wonder about my birth parents but have never felt strong enough to look for them. One piece of advice I would give anyone who is adopting a baby or young child is to always talk about the fact they are adopted. You chose them and they are special. My parents always did this and I think it’s the best way as it makes it a normal everyday thing to talk about. There is no issue of when to sit the child down and tell them they are adopted.